I feel like the weeks are just flying by! Las week we had so many beautiful projects, decor and recipes linked to this little party of mine. 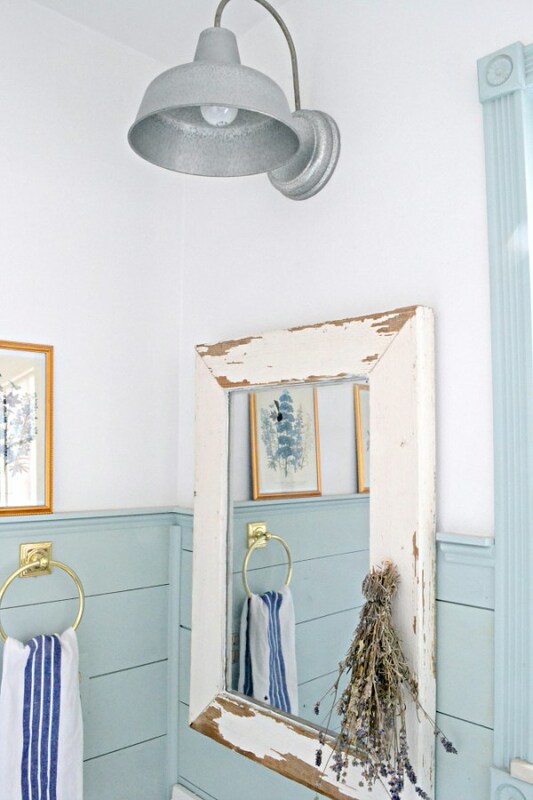 Crystal at The Weathered Fox turned an old window into a gorgeous farmhouse mirror. 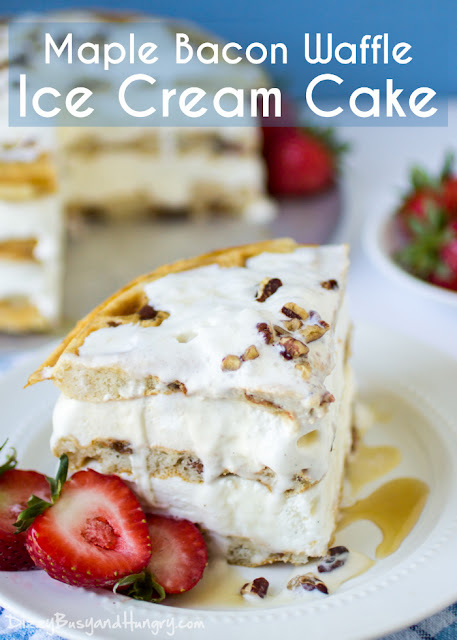 Kristin at Dizzy Busy & Hungry shared a wonderful recipe for Maple Bacon Waffle Ice Cream Cake. 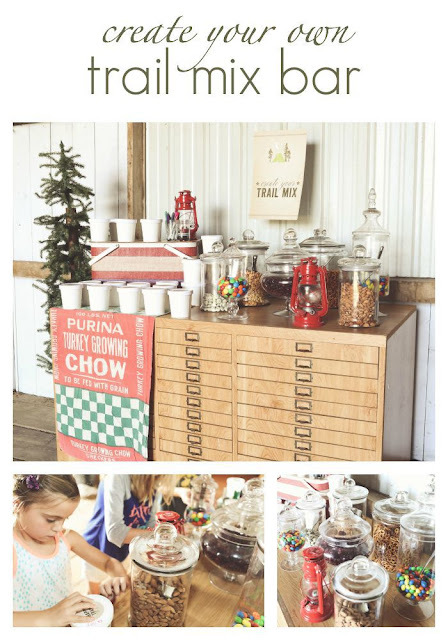 Becky at The Logbook created an amazing trail mix bar. 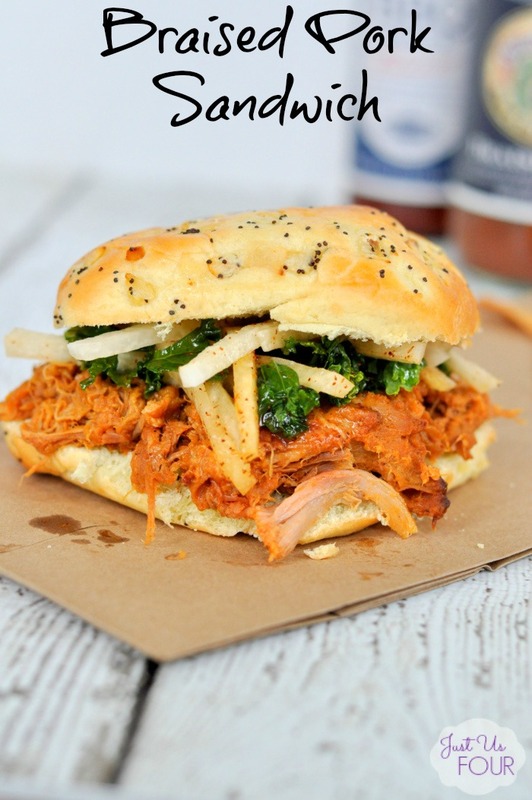 Shannah at My Suburban Kitchen shared a wonderful recipe for Braised Pork Sandwich with Jicama Kale Slaw. Nicki at Sweet Parrish Place re-purposed some old filing cabinets for her home office. Thanks so much for hosting, Maria Elena! Summer is flying by, but if it hurries along and gets through these hot months, then it's okay with me! Gorgeous featured guests posts, dear friend! I always enjoy the make~over posts! Thank you for hosting Tuesdays At Our Home! 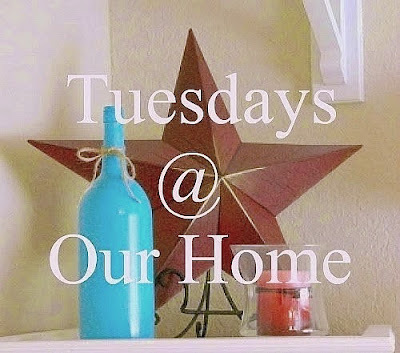 each Tuesday! Another fabulous party! Thanks for hosting! Love some of the features. Holy awesome features, Maria. Thanks for the fun party. Hi Maria, I'm Anne. I have a relatively new blog and I'm looking to connect with more people and I found your amazing blog hop! Thanks so much for hosting. Have a wonderful day, and pop over to my blog (https://birdsongbitsandpieces.blogspot.com) sometime to say hi! Dear ME - she's finally here! Thank you so much for hosting. Hope your week is great! Hi Maria Elena! 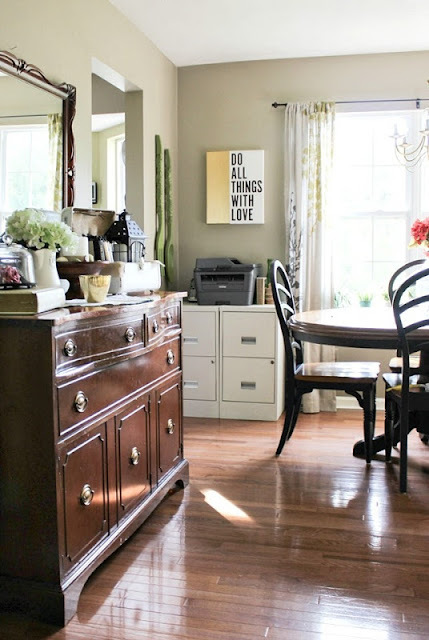 Thank you for a lovely party and for featuring my Summer Kitchen. Happy summer!